This spring is famous for its stone statue of a bear created by the sculptor Vítězslav Eibl. The origin of this spring is from the Middle Ages when this place had the name Bears Lair. The spring actually arose through a decayed stump of a tree however a pipe was used to move this spring a few meters lower to gain better access. 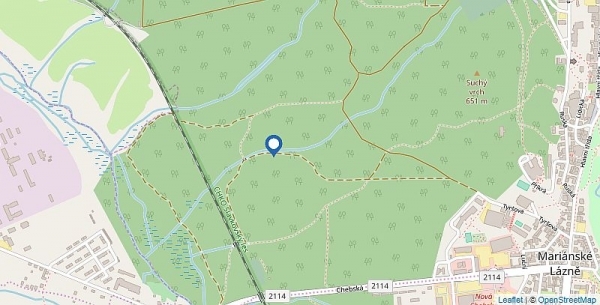 The initial problem with this spring was that it absorbed ground contaminants from the surface water. 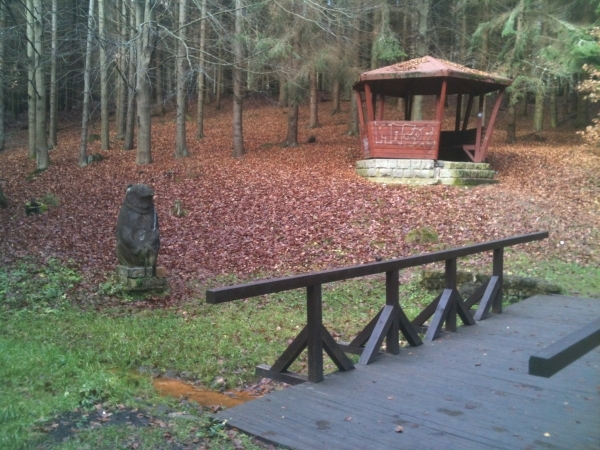 The spring arose in the forest park between Hotel Agricola and Balbín Spring (in the direction of Velká Hleďsebe).